Price: €14.10 directly from Kagero. Kagero’s latest “Topcolors”- no 36 - focuses on the Panzer III family with a softcover landscape book in 19 pages. 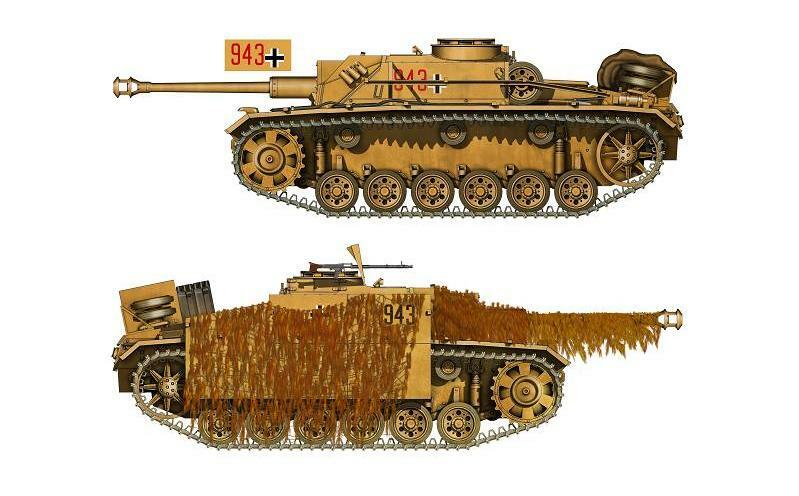 The book features sixteen different variants of this tank – both in regular turreted versions and the assault gun Sturmgeschütz with the low profile. The text is in a combination of English at the top of each page and polish on the bottom. My polish isn’t that good but the English text is right on and correct. I would think that if I were to add anything to this I would put another view or picture of the original vehicle on the page. There are however helpful smaller profile images of glacis plates and turrets that show exactly where the smaller decals go on each tank. This is more like a deluxe decal sheet than an actual textbook The decals themselves are printed by Cartograf, and although I did not test these I have tested a sheet a while back in the other Topcolors book on the panther. I found these decals adhered to the kit quite lovely and there was only a bit of carrier film left – and this was without using a decal solution. The colours were strong and the printing was in register so top quality markings make this set all that more worthwhile. 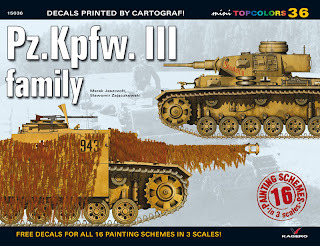 The markings included in three scales (72nd,48th &35th) vehicles include the individual and national markings for 8 Pz.Kpfw. III tanks and 8 Sturmgeschütz assault guns from the Panzer III family. 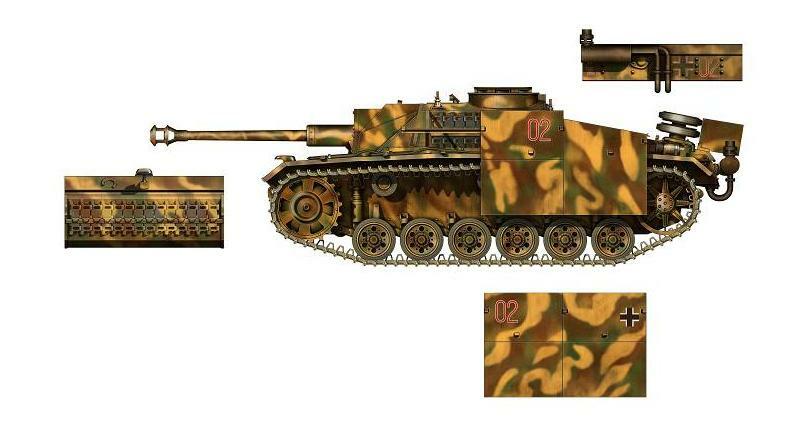 - Sturmgeschütz III Ausf. G coded “223” and named “Elsa/Nelly” from Pz.Jg.Abt.346, 346th Infantry Division, Holland, May 1945. So there you have it – the age old question - which came first -The decals or the book? Well they are a tie as far as I am concerned, with both parts complementing each other nicely. The seriously low price – which I normally don’t mention in reviews, only adds to the appeal of this combo. A great title! Thanks to Kagero for this book to read and review – their books are available from the Kagero site, but they are now available from their distributors Casemate Publishing and MMD Squadron as well as other retailers in various countries.